One of the easiest ways to earn money for the band is through Amazon Shine. All you have to do is go to smile.amazon.com and shop as usual. Once purchase is made, a percentage goes directly to the band. 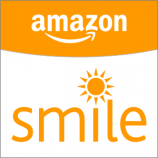 Go to smile.amazon.com and choose Soddy Daisy High School band as your charity. Shop as usual, even using Prime and/or a scrips Amazon gift card. Band gets a percentage of every purchase. Super easy! !